Egypt's cabinet approved on Wednesday amendments to the country’s antiquities law, raising the maximum sentence for the illegal trade in antiquities from seven years to life imprisonment. The amendments, which are pending parliament approval, also include fines for harassing tourists at archaeological sites ranging from EGP 3,000 to EGP 10,000. Antiquities Minister Khaled El-Enany said at a press conference on Wednesday that since the 2011 revolution, there has been a rise in antiquities theft and illegal digging for artefacts. The minister said that the antiquities law, which was first passed in 1983, was amended twice in 2010 to stiffen penalties. 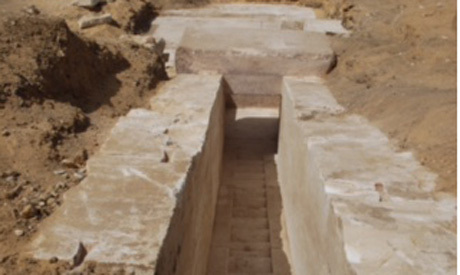 In late April, Egypt's administrative prosecution referred 12 former antiquities ministry employees to trial for allegedly allowing members of a German archaeological expedition to steal samples from the Giza pyramids in 2013. Investigators allege that the 12 ministry employees allowed the Germans to illegally take a piece of a cartouche from a small compartment above King Khufu's burial chamber. The German group also took fragments from the walls and ceiling of King Khufu's tomb in the Great Pyramid, as well as fragments from another tomb. Prosecutors said that the group damaged the pyramid walls with a sharp tool while taking the samples.